The line opened with Villanova to be a home favorite of 21.5, but has now dropped to ‘Nova by 19. Kenpom expects Nova to win by 20. DePaul was beaten by 18 at home in both team’s Big East opener. The Demons last beat the Wildcats on January 3rd, 2008. It’s been a while. Put it this way, my 9 year old 4th grader was not alive the last time DePaul beat Villanova. George W. Bush was President the last time that DePaul beat Villanova. Oliver Purnell was not coach yet, and he still hadn’t been fired. It was still Wainwright time. 2011-2012 season, where they still finished ahead of DePaul. In 17 season, Jay Wright has had only 2 losing seasons. Kind of the exact opposite of DePaul (4 winning seasons in the same time frame). From Villanova’s homepage: “All members are bonded together by a shared responsibility to uphold the ideals of Saint Augustine and let the principles of truth, unity and love guide their lives.” So if one of their fans is razzing you, remind them that they are not following Saint Augustine’s life guiding principles. I am sure this zinger will shock them to the core, and they will apologize profusely. I am rerunning this about Coach Wright. 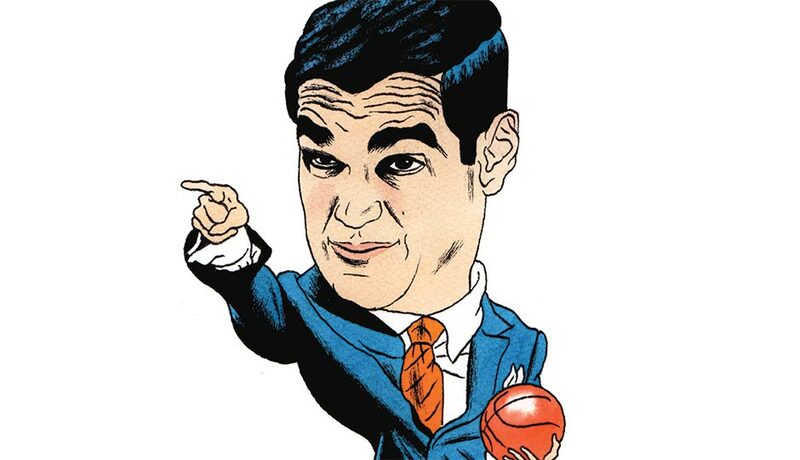 His tailor, the Jay Wright dressor guy, has helped Jay be considered one of the best dressed, if not the best dressed coach for nearly a decade. Most of his suits go for $2,500 to $3,000. So I guess Wright needs to keep this high paying gig to keep his wardrobe functioning. Jay has 2 closets in his room, one for suits, and the other for shoes, shirts and slacks. This team is full of pains in the asses. Between Jalen Bruson, Mikal Bridges, Donte DiVencenzo, and injured Phil Booth, you have an all-star list of highly effective offensive players. 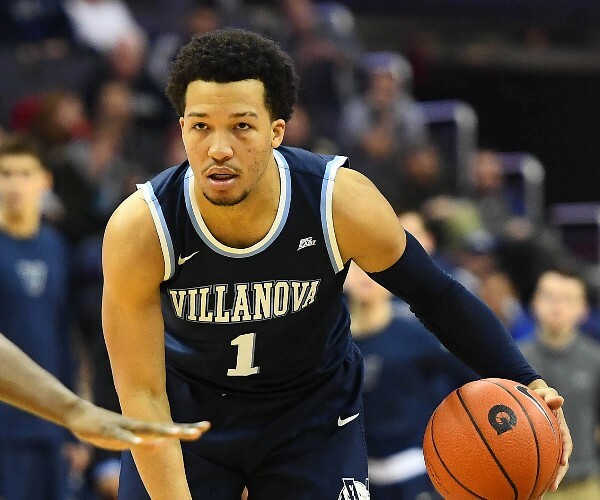 Since Brunson is falling onto a lot of ‘player of the year’ candidate lists, I am going to go with Illinois native Jalen Brunson. Brunson is a local guy, Lincolnshire, IL, who wisely turned down offers from any Illinois school and went on to win a National Championship with Villanova. Lefty. He has the 10th best offensive rating in college basketball (132.5). He is crazy efficient, and he shoots 42.7% from 3 point land. He will kill us. To put it in perspective, DePaul’s best offensive rated player is Marin Maric with rating of 114.5, which puts him at 400th in the country. His 3 point shooting has decreased over the past few games. In fact, over the past 6 games he is only shooting 28.6%. Maybe the loss of Booth is tiring him out. They really are an offensive machine. Here are the list of contributors with their offensive ratings and 3 point shooting percentage. Omar Spellman: Offensive Rating: 118.7 3-Point Percentage: 44.9% Shooting 53.6% from 3 point land over past 6 games. Eric Paschall: Offensive Rating: 120.1 3-Point Percentage: 30.2% One Guy Not to Worry About from 3 point land!! Collin Gillespie: Offensive Rating: 132.8 3-Point Percentage: 42.9% Last 6 games he is shooting 50% from the arc. These guys are going to murder us. Villanova is the best offense and 41st best defense in college basketball. Of late, their offense has been trending down, although it is still totally awesome. They had awful offensive nights against St. John’s and Providence. 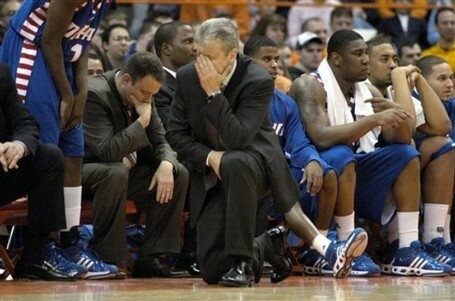 As mentioned before, what those teams have in common is that they have been beaten by DePaul. Maybe Villanova will have an off night? I think not, but we can always wish. Marin Maric has been the best of the Demons over the past 5 games. His Offensive rating in that stretch has been 125.2. He has done this through effective field goal percentage of 70.4, and shooting 71% from 2 point range. Eli Cain has had his best stretch of the season, other than the crap game he put up against Seton Hall. Over the past 5 games his offensive rating has been 105. Max Strus and Tre’Darius McCallumn have been below average in this stretch, with an offensive ratings of 96.1. Villanova has 2 of the top 55 players in DI basketball and 8 of their 9 healthy contributors have an offensive rating above 100 (the gold standard.) The Demons have 3 guys who generally have a plus 100 rating. In Big East games, the Wildcats have the most efficient offense, highest effective field goal%, lowest turnover rate, best 2pt%, least amount of turnovers due to steals, and the 2nd best 3pt percentage. 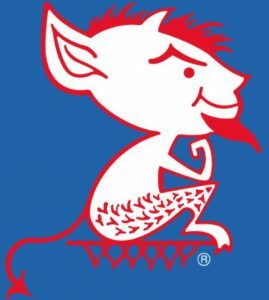 Your DePaul Blue Demons are the least efficient offense, 2nd worst effective field goal%, 2nd worst turnover rate, 2nd worst 2pt%, worst at turnovers due to steals, and the 2nd worst 3pt percentage. But the Demons dominate on the offensive baords, so take that Villanova! I know this sounds crazy, but in Big East play only, DePaul has been better defensively. Not by much, but it is true. In defensive efficiency, DePaul is 4th best (107.8) while ‘Nova is 7th best (108.6). Villanova is slightly better at defending the 3 point line, 2 pointers, and effective FG%. DePaul has been slightly better at creating turnovers, stealing the ball, and offensive rebounding. Villanova will win. Their offensive weapons trump the Demons offensive weapons. If the defenses are virtually the same, I am taking the better offense. However, I would take the Demons against the spread if it stays at 20 or more.